About two-thirds of the activity has come from renewals of existing exchange plan coverage. The deadline for HealthCare.gov exchange plan coverage that starts Jan. 1 is Dec. 15. (Bloomberg) — More than half a million people signed up for Patient Protection and Affordable Care Act (PPACA) exchange health-insurance plans during the second week of enrollment for 2016 coverage, which gave the exchange system a faster start than it had last year. A total of 534,778 people picked plans through the federally run HealthCare.gov exchange plan enrollment system during the week that ended Nov. 14, according to the Centers for Medicare & Medicaid Services (CMS), which runs the HealthCare.gov sign-up website. About 300,000 individuals picked health plans in the second week of the exchange plan open enrollment period last year. 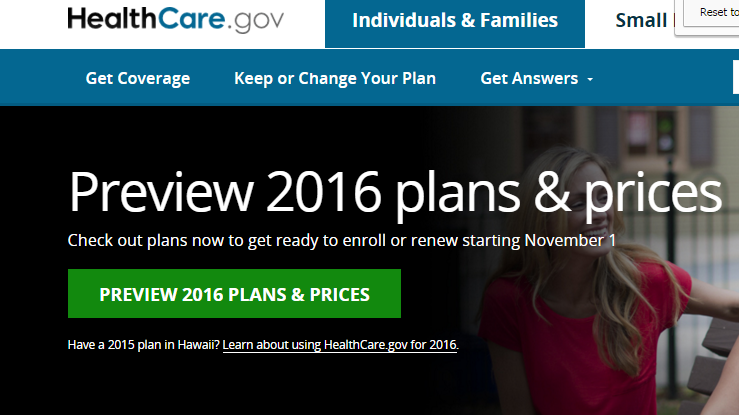 The second week of the open enrollment period for 2015 coverage included the Thanksgiving holiday. The second-week activity brings the total signed up for 2016 coverage through HealthCare.gov to about 1.1 million, CMS said in a statement. So far, two-thirds of the people who have enrolled for 2016 coverage have been renewing policies. At this point a year ago, about half of the activity came from consumers who were renewing exchange plan coverage and half from new exchange plan purchasers. The new CMS sign-up figures are only for the 38 states that use the HealthCare.gov system. They don’t include enrollment figures for states like California and New York, which run their own state-based exchange programs. CMS has said it hopes to have about 10 million people enrolled in individual marketplace plans by the end of 2016, up from 9.1 million at the end of 2015. The deadline to sign up for policies that take effect on Jan. 1 is Dec. 15, and the last day to pick a 2016 policy is Jan. 31.